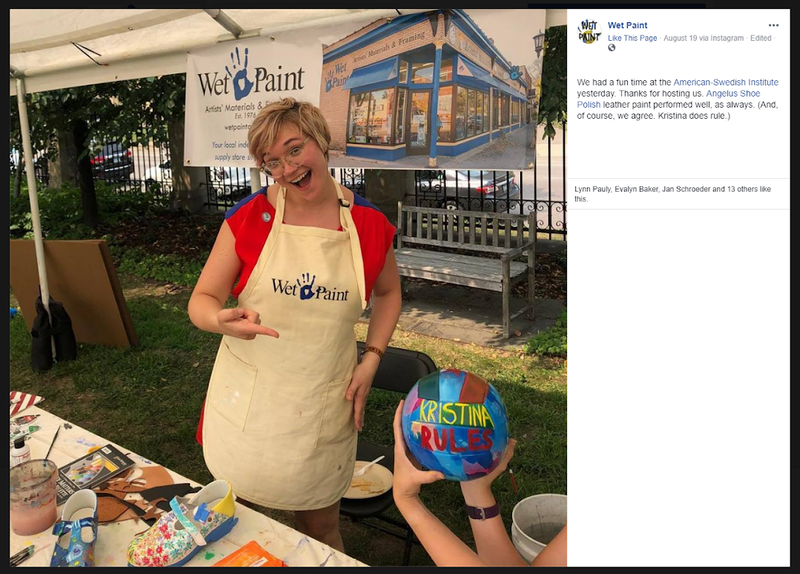 Wet Paint is an independently owned store in St. Paul, MN that is well known for their social media and marketing verve. 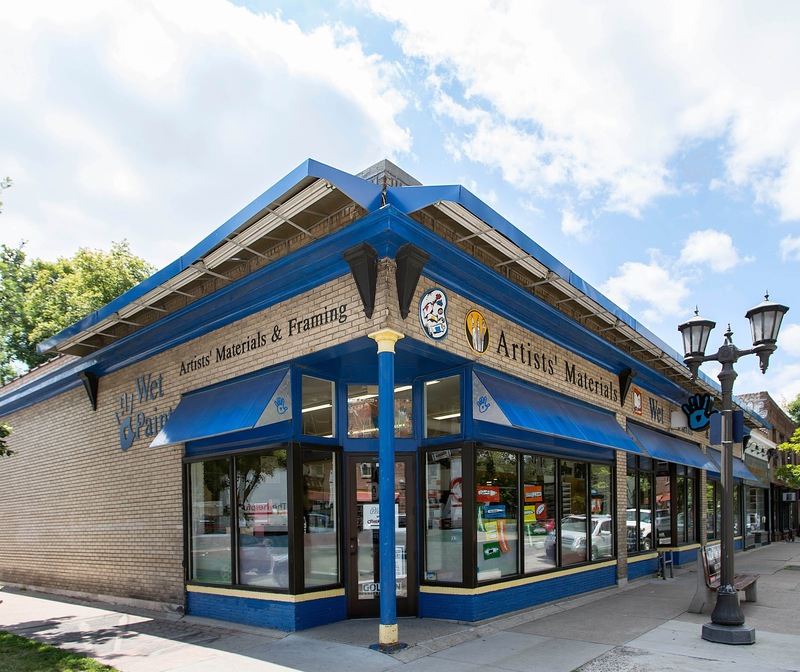 They organize regular in-store events, classes, weekly newsletters, an interactive website, regular social media postings via Instagram, Facebook, a bit of Twitter and Google+ content as well as a blog on WordPress and videos via YouTube. They also maintain a steady flow of print materials. In short, they do a lot. This dynamic, multi-platform strategy is made possible by the dedicated Social Media and Marketing team: Kristina Fjellmen and Chris Nolt. 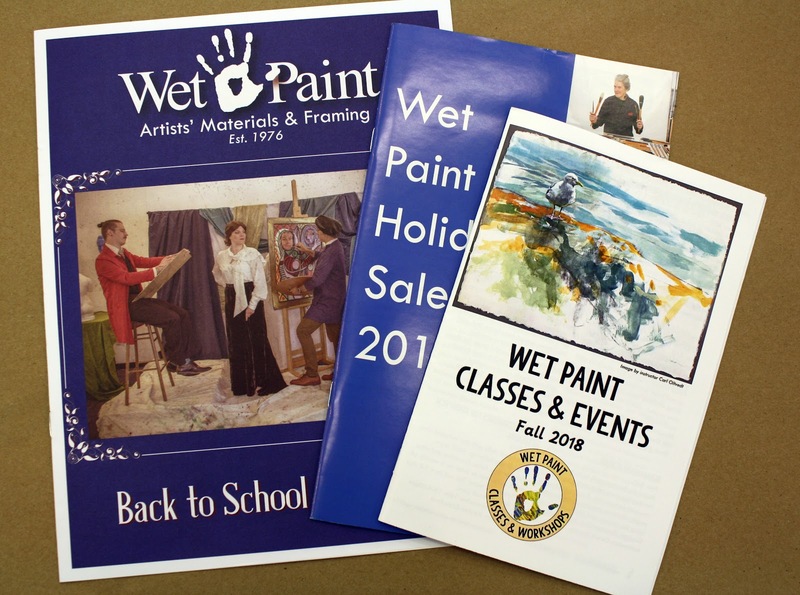 While Wet Paint maintains a strong online presence, they haven’t neglected print materials. Many of their customers like to take home a pamphlet or schedules of events and classes or a catalog of sale items. The consistent production of schedules and catalogs in combination with a “steady drip” of digital content allows for a broad customer reach that respects a preference for paper while also engaging with click-happy millennials. The following list is designed to be helpful for everyone, wherever your store falls on on the marketing and social media spectrum: from tentatively googling “Why do I need an Instagram?” to having a dedicated social media team. Much of Wet Paint’s content touches one, two or all three points of this trifecta. Their posts showcase a product, clue the audience into an experiential opportunity and/or reference real life interactions with customers. 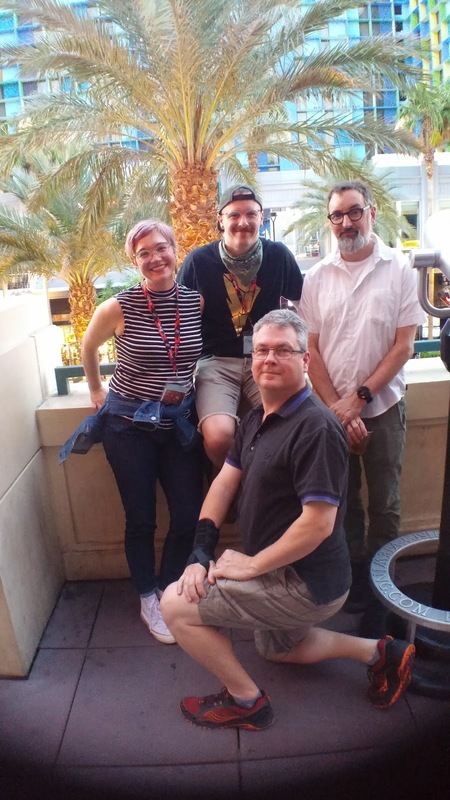 When content stems from real life connections, relationships and interactions in the store, the bridge between the abstract, digital realm of the internet and your very real store strengthens. New followers and subscribers become customers. 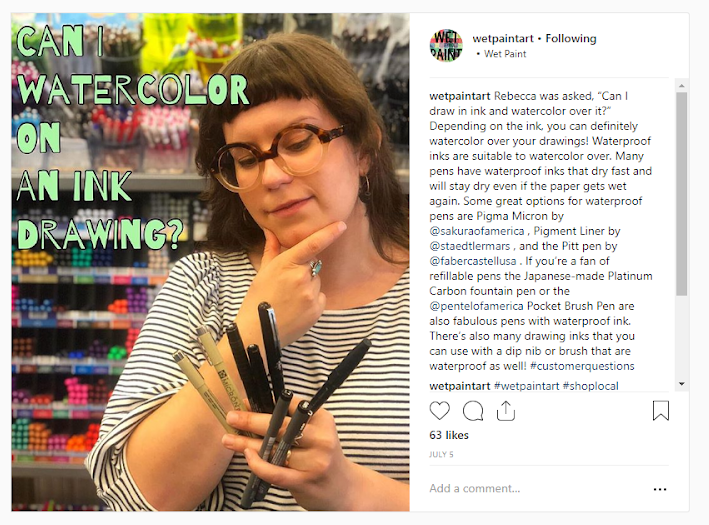 Wet Paint’s instagram is chock full of personality, character, silliness, artsiness and content that gets people pumped up about art supplies. To learn more about how to develop your store’s voice, here are some useful tips. If you don’t have a dedicated team for social media, that’s okay. These strategies can be scaled down as needed based on what resources and time you do have. Try synching the social media platforms you use (Facebook, Instagram, Twitter, etc) with a social media management tool that “funnels” all your posts to the proper channels. These tools allow you to create multiple versions of a single post for all the platforms you use and post to all of them with just one click. Pre-schedule your posts for the week so that you are not thinking on the fly everyday—it will post automatically. Consistency is key. It doesn’t matter if you post four times a day on three different platforms or twice a week on one… just pick a method and stick with it. Let followers or subscribers know what to expect, and they’ll keep coming back for more. Being consistent means giving up perfection. You can waste time hesitating over language in an Instagram post, but it lasts about a minute on the internet. It may drive someone to click, come into the store or buy something but if you mess up, no one is harping on it. 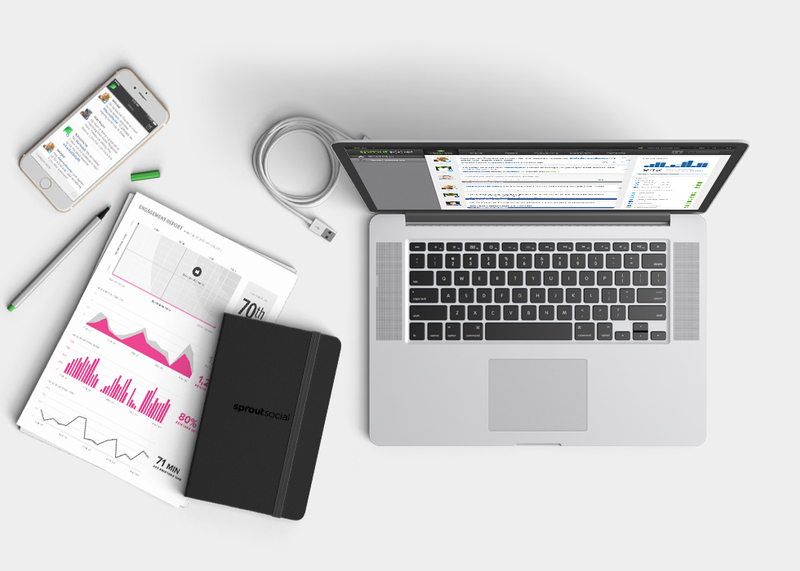 Think of your online presence as a growing portfolio. Practice makes progress! Once you get a handle on your content, clarify the way you’d like to talk about it, set up a realistic system for posting and commit to a “just do it” attitude, you are ready. Whether you are dipping your toe into social media or looking to revamp your marketing strategies, these tactics can help you strengthen relationships, build new ones and get your products and services to the people. And, in line with the “Wet Paint Way,” try to have fun while doing it!